Rare protests have taken place in Vietnam over maritime territorial disputes with neighboring China. But the rallies were quickly stopped by the security police – after just 45 minutes in Ho Chi Minh City and half-an-hour in Hanoi. 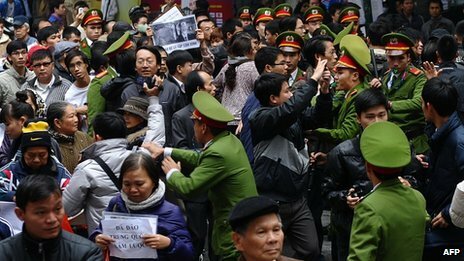 Protesters said that Hanoi police had detained more than 20 activists. It is the first anti-China protest in Ho Chi Minh City, Vietnam’s largest city, in more than a year. Police have been trying hard to prevent demonstrations, but this time it seems public anger was too great to suppress.